To become an LPN, you need to complete a relatively short program which takes 12 to 18 months and concludes with a licensure examination. After completing the course and passing the exam, you’re ready to jump into your new nursing career. LPN programs are typically offered at community colleges and technical schools, and most are fairly inexpensive. It is also easier to gain admission into a community college than a four-year university, making it not only affordable but also accessible. 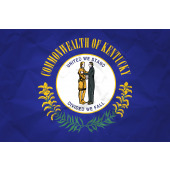 As an LPN, you could expect to earn around $37,000 per year in the state of Kentucky, with slightly higher earnings if you work in a major city. There are plenty of opportunities for nurses in the state, as large employers such as Trilogy Health Services, the Department of Veterans Affairs, the Masonic Homes of Kentucky, and Correct Care Solutions all regularly hire LPNs to work in their hospitals, clinics, nursing homes, or assisted living facilities. If you’re ready to start your new nursing career today, take a look at the below list of the best LPN programs in Kentucky.